Ventilated Softec cushioning absorbs shock to reduce stress on feet. 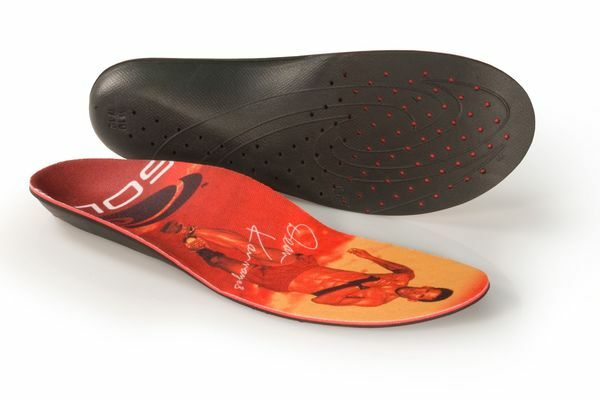 Built-in arch support helps those with plantar fasciitis and promotes a healthy alignment of foot structure. Polygiene® antimicrobial formula limits foot odor, while the SOLE's top layer features anti-bacterial silver threads. Orthopedic base layer can be put in the oven for optimal molding. 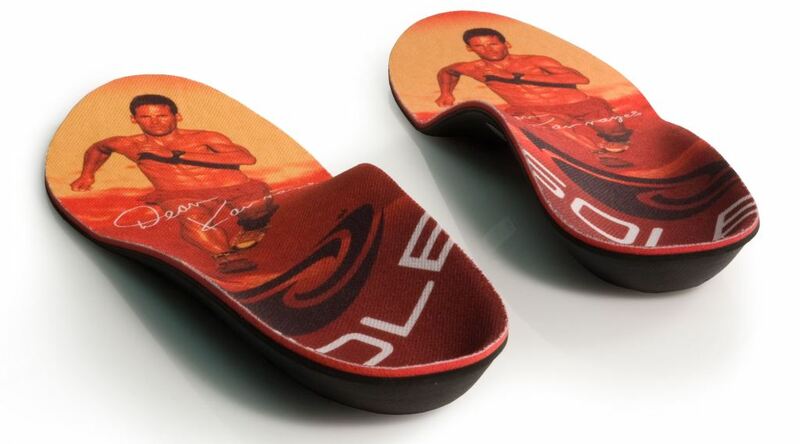 Satisfaction is guaranteed through 90 days by SOLE. Excellent experience & Comfort An overall excellent experience. Sole is truly a remarkable company. After developing plantar Fasciitis and unable to run due to unbearable pain I turned to these "Sole's" for comfort. This item will not let you down. My high arches are supported and have been for well over a year of running. 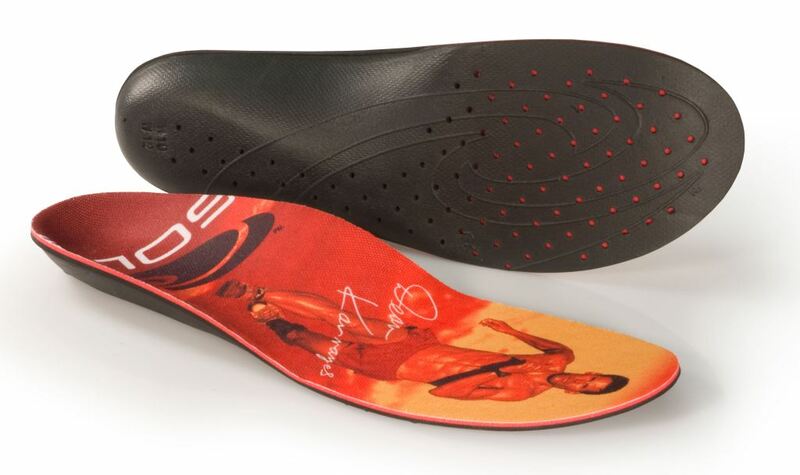 best I've found I have tried several other orthotics and Sole are the best I've found. I use the DK for running and the Ultra for everyday shoes. Feeling better First time in my adult years to wear orthotics. I have seen marked improvement in my ankles, knees and hips. I am very pleased with them. Great for my feet!!! I have had both orthotics from a doc and arch supports put in my shoes and they aboslutely hurt my feet. I tried these and voila, no pain. I am very happy. 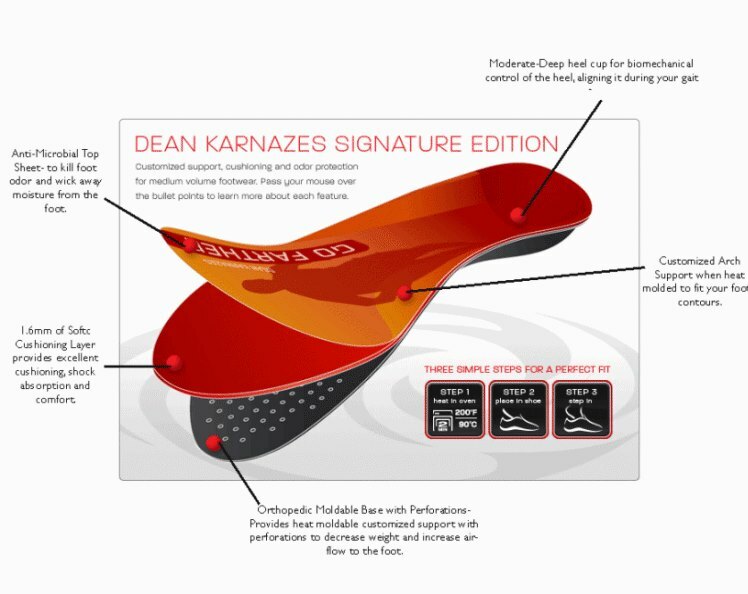 Good, Thin Insole The Sole Signature DK insole is thinner than Soles Softec Response. I use both of them for sports, different ones depending on the shoe. I find them also fime for walking.